My little dog and I sheltered in place during Sandy, and from the sound of what was going on, I’m more than glad we did. Our little section of Astoria seems to have survived the night- power, internet etc. still up and running. Checking in on the web this morning, one discovered that surrounding neighborhoods weren’t quite so lucky. Mr. Jimmy Van Bramer, our City Councilman, has been running around the district and updating everyone on the situation via facebook and twitter as well as his own site- http://jimmyvanbramer.com. There seems to be a high number of fallen trees in Sunnyside. The North Brooklyn Boat Club posted shots of the flooding which affected their outfit, check them out at this facebook album. 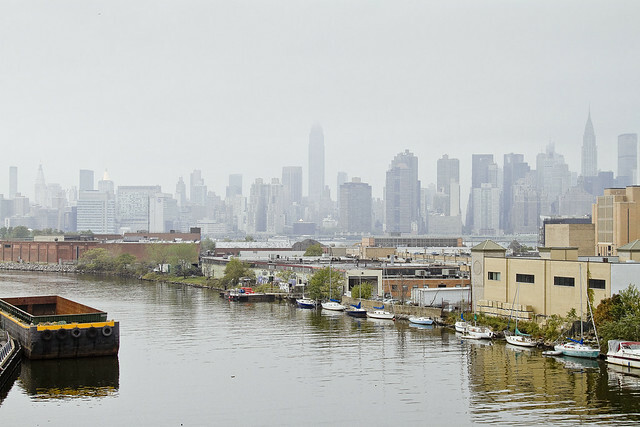 Newtown Creek Alliance’s Laura Hoffman also posted shots of the aftermath in Greenpoint, at this facebook album. Finally, the folks at gothamist posted an album this morning, depicting the flooding along the creek. I’ll be going out tomorrow morning, doing a long walk around the Creek and seeing what I can see. If anyone has anything in particular that they think I should check out, email me here. Haven’t heard too much from the harbor people yet, but word has reached me that both the John J Harvey and Tug Pegasus survived the night. I don’t think that it is too early to say that life has changed for all of us, and that it’s a good idea to take extra precautions regarding what washed out of the rivers and the Creek in particular.